Cape Town - Global ratings agency Moody's placed South Africa's government debt on review for downgrade late on Friday night, but did not downgrade the debt to junk status. The announcement was made just minutes after its rival ratings agency S&P Global downgraded SA's long-term local currency rating to 'BB+', or junk, from 'BBB-' with a stable outlook. Following S&P's announcement, the rand, which had been trading around R13.90 to the US dollar before the announcement, immediately lost 25 cents, to trade at R14.15/$. It has not yet changed considerably in the wake of the Moody's ratings report. "Thus South Africa is still included in the world bond indexes," TreasuryOne explained in a short note after the two announcements. "Moody's will see what happens with elective conference and budget in February 2018." In a ratings announcement on Friday evening at 23:30, Moody's said it had placed SA's Baa3 long-term issuer and senior unsecured bond ratings on review for downgrade. This means that Moody's is the only major ratings agency that has both South Africa’s foreign-currency and rand-denominated debt at investment grade. 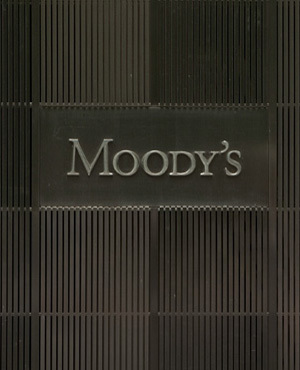 Moody's was the third of the big three ratings agencies to announce its November review of SA's credit rating. On Thursday Fitch kept SA's long-term foreign and local currency debt ratings at ‘BB+’ - commonly known as junk - with a stable outlook. In its ratings announcement, Moody's said the decision to place SA's sovereign debt on a review for downgrade was "prompted by a series of recent developments which suggest that South Africa's economic and fiscal challenges are more pronounced than Moody's had previously assumed". "The review will allow the rating agency to assess the South African authorities' willingness and ability to respond to these rising pressures through growth-supportive fiscal adjustments that raise revenues and contain expenditures; structural economic reforms that ease domestic bottlenecks to growth; and improvements to SOE (state-owned enterprises) governance that contain contingent liabilities," the ratings report read. "The review period may not conclude until the size and the composition of the 2018 budget is known next February. This will also allow Moody's to assess the policy implications of political developments during the review period and the likelihood of pressures on South Africa's key policymaking institutions persisting."